After criticizing police in England for arresting people for filming them and buildings (here), it appears that the police in Boston have embraced this abuse and have started arresting people for the crime of filming them in the streets. Just ask Simon Glik, a lawyer who was arrested for filming officers in what he viewed as an excessive use of force. The police are basing this claim on a ridiculous reading of the two-party consent surveillance law — requiring all parties to consent to being taped. I have written in the area of surveillance law and can say that this is utter nonsense. These laws were never intended to stop photographing public officials in public doing public functions. There should be an immediate move by Boston’s city council to demand punishment of these officers and an immediate denial by the police department that such claims are considered valid. Yet, the police appear to be sticking by their claims and their arrests. Glik says that he was merely asked if his phone had recording capabilities by the arresting officer and was then promptly arrested himself. As the story below indicates, he is not alone. Boston police spokeswoman Elaine Driscoll defended the practice. Driscoll insists that “If an individual is inappropriately interfering with an arrest that could cause harm to an officer or another individual, an officer’s primary responsibility is to ensure the safety of the situation.” She ignores the obvious problem of defining filming of officers as interference or the claims of officers that they are arresting these citizens to protect their own privacy. This shameful practice should lead to discipline not a defense from the Boston Police department. Hopefully, Boston has sufficient public interest lawyers to bring this matter to a court. This is an utter disgrace and John Adams would be on every corner passing out cellphones and video cameras. There’s still time to turn things around, IMHO, but the window of opportunity is very small and getting smaller. The USA became a facist police state many, many years ago- and you people are recognizing it now that nothing can be done? one of the problems with cops is that they do very dangerous work on a daily basis…they are machines full of the catecholamines of fear. What looks like bravado to citizens may be something else altogether. People should be aware that what looks normal to them may look provocative to someone who is always ‘watching thier back’. That said, it is the law that needs to be made very very clear and weighted to take abuse into the equation. I think the The law is too slow to respond when there are trends like this going on in this country. The Illinois eavesdropping article looks like a good start. Completely sickening. As our government tightens it’s grip on the very providers of a means,(tax payers)we have the most fundamentally basic rights exploited by the so called protection! This has to end, who speaks for those with no voice?! Far too many people have had horrible encounters with power hungry officers exploiting fine print. If a high on adrenaline meat-head cop is manhandling a woman or needlessly beating a citizen into submission, the public should be allowed to step in with at the least, video! We as the people have so little with career politicians and moronic police officers biting the hand that feeds them. Enough is enough. Doesn’t anyone have any balls left on capitol hill? I think I may invest some serious coin in another nation and get out of here. I will bet you dollars to donuts that these very same officers have in the past requested to search vehicles, homes, persons, or try to stop suspects from obtaining a lawyer using the “if you got nothing to hide, you’ve got nothing to worry about” nonsense. Hey that’s actually pretty good. The police in many areas seem to be out of control in their dealings with the very people that pay their salaries. If we don’t start speaking out against unconstitutional activities of all police authorities, we will soon find ourselves without any recourse to stop police excesses. We’re rapidly approaching a police state ever since 911. Since the onset of video camera’s police brutality has been exposed more and more on video. This had the promising trend of possibly reducing these offenses, even though it seems taser abuse is on the rise. 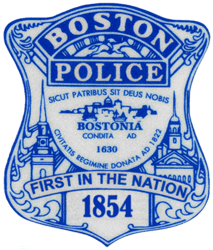 Now the police, at least in Boston are showing their true colors by simply outlawing the act of catching them on film in the act of beating and abusing the very people they’ve sworn to protect. The police in Boston are saying, “hey, we can abuse you and its illegal for you to do anything about it”. Think about it. You can’t defend yourself against an abusive policeman. Who dreamed up this ridiculous law? If a cop is out of line you should be able to defend yourself legally but try it and see what happens. But they can beat you to death on camera and walk away with a slap on the wrist, if even that. We live in a country where the Police are becoming the most dangerous group of people we as citizens have to worry about. It doesn’t matter anymore if you’re a criminal or not. Every thing is pretty much a crime. They can get you for writing a note to a stewardess about Gilligan’s Island as we saw in the other thread. There are people in this country literally out looking for offenses, the tiniest of infractions, even words said in a blog in order to prosecute someone. Anyone. We are a nation full of prosecutors ready to arrest, sue or incarcerate anyone we can get our hands on. There is no other industrialized nation that has imprisoned as many of its citizens in steel cages, as ours. The “land of the free, home of the brave”. Question. If the police gang up and beat citizens and electrocute them, then make laws saying you can’t try to stop them even by video taping them, and if we jump every time someone on an airplane complains about the food too loud, and if we imprison more people than any other industrialized nation in the world…can we still really call ourselves “the land of the free”? Or the “home of the brave”? Seems like we need a new slogan. I view any legislation which seeks to prohibit the recording or filming of public activities to be facially unconstitutional. Police opposition does not stem from a concern over interference with investigations (which is, in itself, grounds for an arrest), but from the fact that the possibility that there exists an independent record of an event hampers the ability to falsify incident and arrest reports. I also believe that the Supreme Court is off-base in prohibiting the broadcast of court proceedings. The fool evidently thought he was in the United States, and didn’t realize that he was actually in Iran. If I understand correctly, if a police officer is illegally harassing you, then Illinois law doesn’t prohibit you from then starting to record the incident. if it’s in a public place, which, as far as I understand, is pretty much wide open in terms of photographing, recording, videotaping, live-watercolor-painting, etc. “FIRST IN THE NATION” to lose their right to serve and protect. They stepped way over the line and should be deluged with activists bearing thousands of cameras. If martyrs and humiliation is what Massachusetts wants, they shouldn’t be disappointed. Get these pigs in court. There is a steady drumbeat that is rising of this behavior and the Police State is only a short step away. The sad fact though is that both the police perpetrators and the general citizenry are so blissfully unaware of this slippery slope we are sliding down. Our frightened, post 9/11 citizens gave away so much hoping to keep their precious little selves safe that absolutely no one should be at all surprised by the predictable abuses police and other law enforcement agencies now consider their rightful due. The struggle to curtail those abuses is now that much more difficult. Our employees or our keepers? Sig Heil, Sig Heil off to work we go. Have you beaten a suspect lately. To beat or not to beat, is not the question.